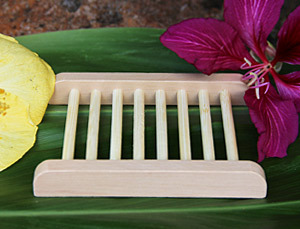 You call them thongs or flip-flops, in Hawai’i we call them “slippahs”, or “slippers”. 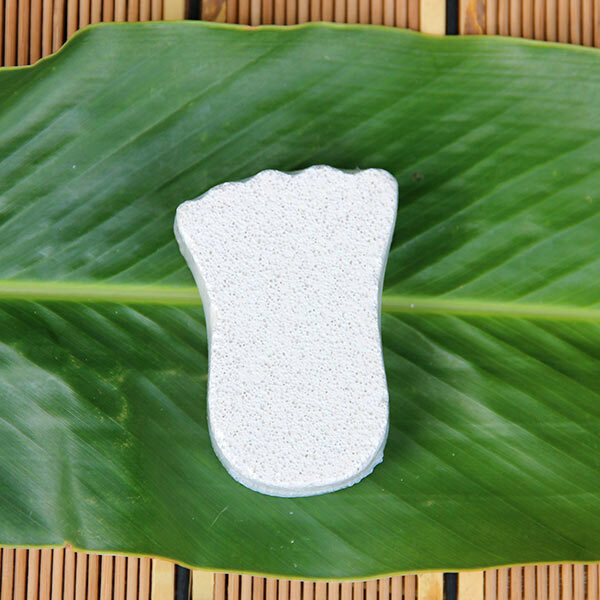 Just like the light and comfortable footwear we wear daily here in the islands, we created the “Soap Slippah”, a light but sturdy nylon mesh bag that fits over your soap and will help it to lather more, exfoliate better and last longer. 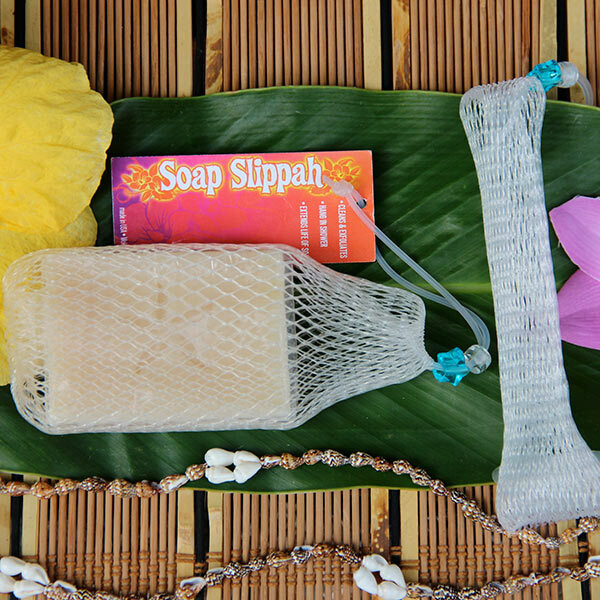 Simply slip your soap into the slippah and enjoy the improved experience. A handy drawstring makes it easy to hang in the shower, no more gooey mess from soap sitting in water! Easy to reuse over and over.